Sigma 1600 receiver-only teleprinter, used to demonstrate news gathering techniques, made by its-Japan Company Limited, Japan,1960-1984. 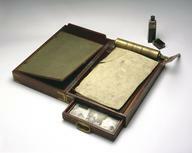 With motorised paper reel and tray. 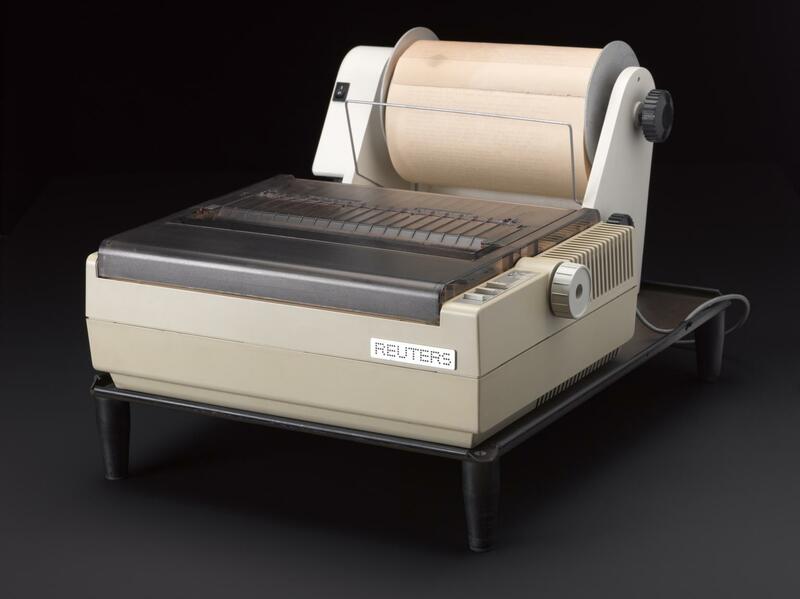 Associated with Reuters, a new service provider who provided news service to the museum for free using this machine whilst on display. It was connected to the Reuters News Agency by a landline. Before the advent of the internet, Reuters and other news agencies used successive generations of telegraph receiver-printers to allow their customers to read their news reports. 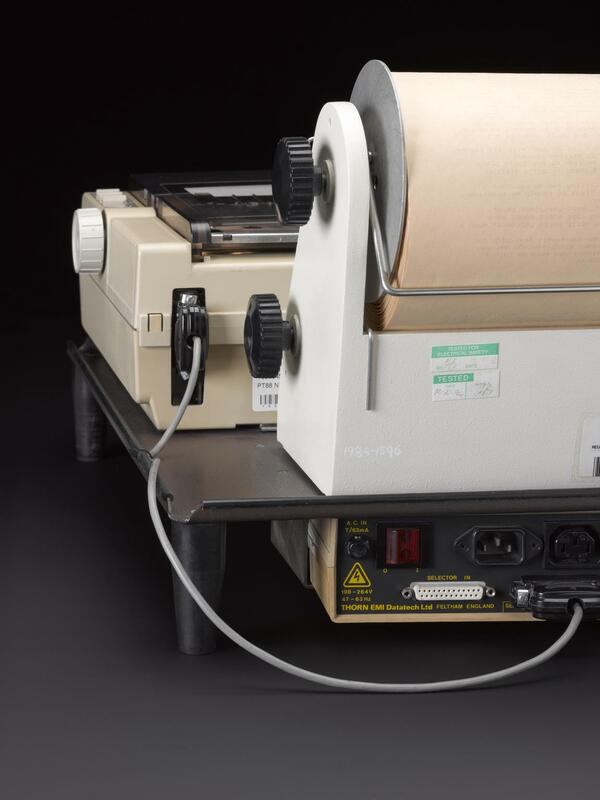 This printer is typical of those used during the 1980s and 1990s. 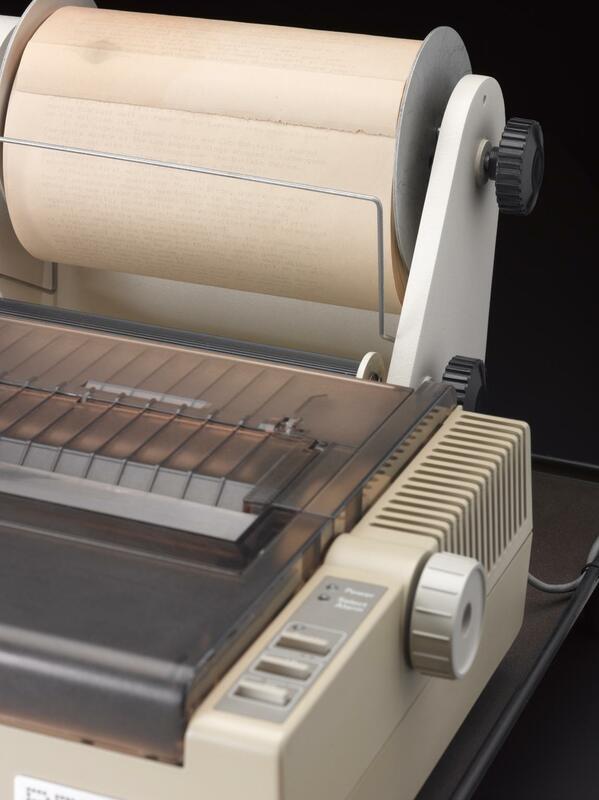 It was a 'dot matrix' printer, meaning that characters were printed using tiny needles arranged in a vertical column. Codes were used to differentiate between different categories of news story, e.g. S for sport, X for special events, and O for all other international news. This particular example was formerly on show in the Museum's Printing gallery and received Reuter's international news service (UK version).